Ready to hire? Start here. 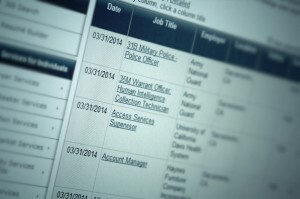 There are a number of valuable hiring incentives available to local employers. Golden Sierra can help you quickly access these tax credits and wage reimbursements so you can get back to your business. 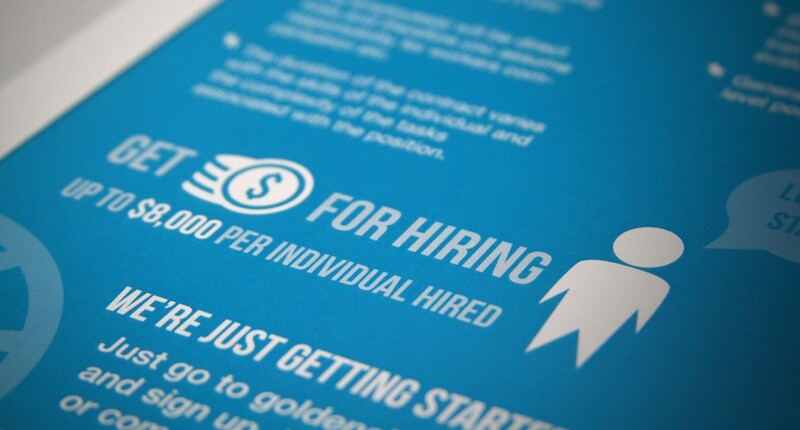 Did you know that employers can receive up to $8,000 to hire and train certain individuals? Before you hire your next employee, learn more about our On-the-Job Training program. It’s easy to get started. Contact our business services representative for more information. [Golden Sierra has] been extremely helpful over the last year in our hiring needs. They helped me with a Hiring Event, they did it all. Advertised, took reservation, came early to set up and check the applicant in and cleaned up. We received 20 resumes from that event. 12 of which we had or will have for interviews. I was able to find an IT intern through their service. We are nearing the end of the internship and it was rewarding for everyone. He’s decided to go to school to get a degree in IT administration, which is a big win for all involved. The paperwork for the OTJ program was minimal and easy to complete, staff minimized my involvement by coordinating directly with the job candidate, staff was available and responsive to answer the questions I did have, and the reimbursement process is simple and straightforward. They carefully matched their students to our job specifications and provided excellent support for everyone throughout the internship. We had the opportunity to work with very talented, excited interns and provided them some great real life experience. We’re looking forward to working with Golden Sierra again. Our experience with Golden Sierra has been more than excellent. The staff are professional, well organized, and make super use of their resources. In a nutshell, Golden Sierra made participation in the program unexpectedly easy for employers, which was a huge relief for me as a small business owner. What I didn’t appreciate until later in the process was how much the reimbursement actually helped to offset the cost of training a new employee, particularly a first employee. We would like to thank Lori and Tammy in the Auburn office and Melody in the Roseville office for all their ongoing assistance and education we received as to Golden Sierra’s super offerings. When we needed to add scanning technicians for our business to meet a big project deadline, they provided us with prescreened applicants. We were able to finish that project on time and under budget thanks to Golden Sierra and the various programs like WEX and OJT they offered. We acquired some excellent workers and even though our work has slowed down for now, we still have one of the workers working for us full time. She is a great worker and we are happy to have her as part of our full time team. I’m looking forward to participating in the WEX program again not only for technical interns but for other positions for my growing company. We have two employees who graduated from the OJT Program, our office manager who is going on four years and a computer technician who has been here for 1 ½ years. Golden Sierra posted a job description for a Business Services Independent Contractor. Within a few days we had 10 applicants to interview and employed a highly qualified person from the group. Don't worry, you can change your mind later.